Hello there! Yes, I'm a tad bit late with this post! Well, what can I say? Its been a manic week...most of which was spent delivering training in Cheltenham. This was a new experience to me....I thoroughly enjoyed it (maybe because I got to talk so much!! )...but I was rather tired by the end! Anyway, four days away from home seems to have thrown me this week!! But I'm here now (better late than never) with the latest challenge from My Time to Craft. 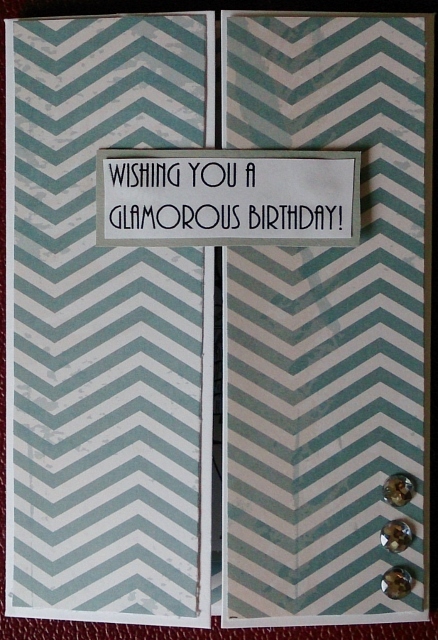 This week we'd love to see your gate fold cards. 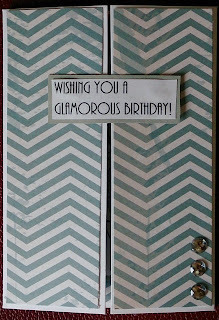 So I decided to keep the outside of my card rather simple...with some pretty patterned paper, some gems and my sentiment. Leaving my image for the inside! I've coloured my fab image with my Promarkers and added a little more bling. 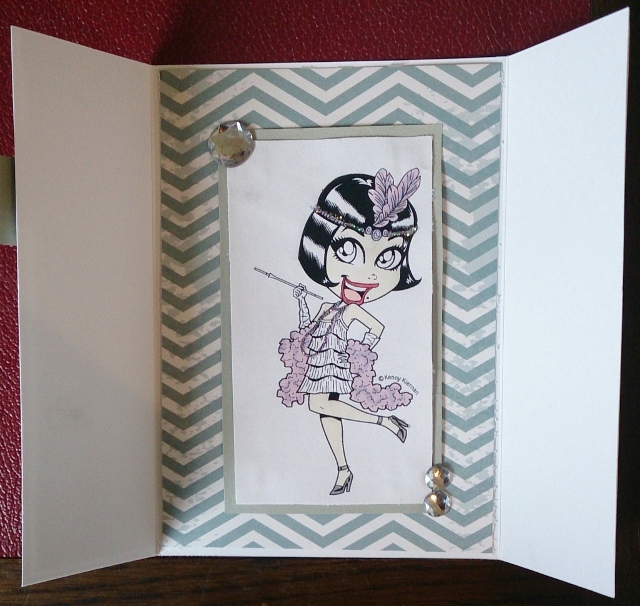 Pop by the My Time to Craft challenge blog to see the gorgeous cards created by the fab DT. If you get the chance pop by these fab challenge blogs to see the gorgeous DT cards. Gatefolds definitely leave you with the element of surprise. Love your fab flapper girl! Thanks for sharing with us at Make It Monday this week. Super gatefold Wedgie, love the image. Great card hun, love the CAS outside & then that fab pic inside!! Gorgeous card Wedgie. The design looks fab and I love the Kenny K image.